“Sneha” a simple sanskrit word in Ayurveda, that can restore both physical and emotional balance. When there is dryness of body and emotions. 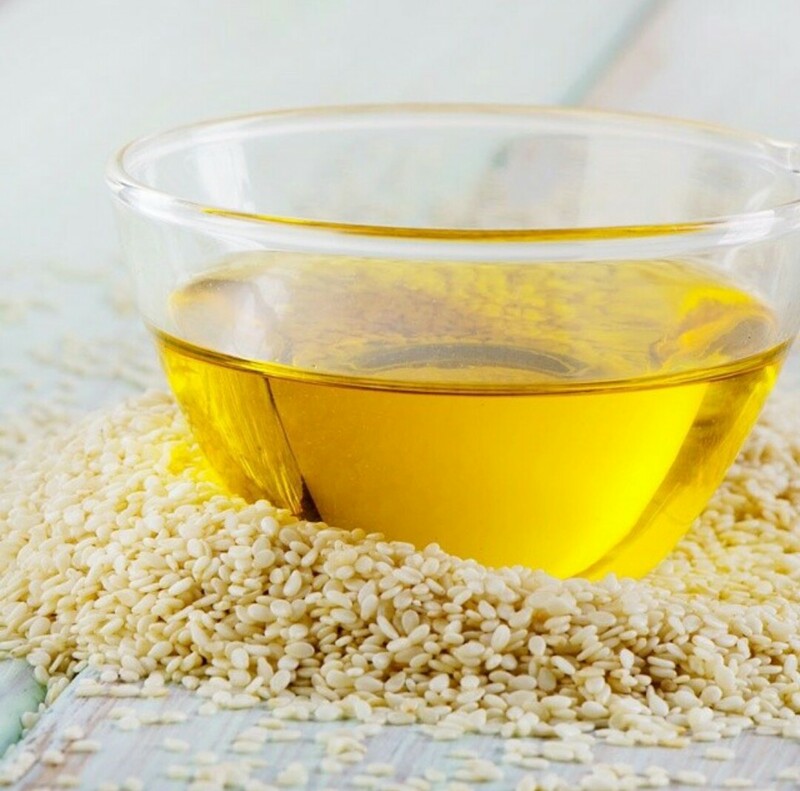 Sesame oil, one of the most common oils used both for external application and internal consumption in Ayurveda. In today’s scientific world we keep on discovering and rediscovering new facts about health and nutrition every day.Information that was idolised like the latest movie star yesterday is shunned today with equal disgust by the scientific world.People are totally confused about what is good and right today, but may tomorrow be termed harmful. In such chaotic situations ancient wisdom from sciences like Ayurveda provides a stark relief.This is knowledge, which has not been gleaned by going into the minutest details of just a part of any organism,whether plant or animal.It is wisdom distilled by listening to the harmonious whole.It is the synchronicity between every single cell and the entire universe. Yesterday fats were considered bad,today they are good. Tomorrow who knows what new information is thrown up by science which has been arrived at by intensive study and research. During my study of “panchkarma ” or the five methods of detoxification in Ayurveda,one word which really appealed to me was “sneha”. There are certain words in the Sanskrit text which hold the same meaning in Hindi ,Marathi and some other regional languages.” Sneha” is one of them.It means oils or fats derived from plant or animal origin.For example ,sesame oil,olive oil or ghee.What struck a chord is that this same word is used to describe love or compassion or warmth of the emotions in all these languages.Isn’t that strange? As of today we are living in a society which is crumbling due to lack of good relations between parents,siblings ,offspring and other relatives and freinds,on the one side and deteriorating physical health on the other.So in such a scenario the similarity between both the meanings of “sneha” is striking.We have begun starving our bodies of fats ,even though our brains and nervous tissues crave for them.In Ayurveda ,there is a concept that says ,”like increases like”.As our brain and nervous tissues are made up of fats they need fats to function optimally.No wonder then that the physical deprivation of fats has made us irritable ,dry and hostile towards others. I am not advocating any and every type of fat,but fats which have been consumed for ages by our ancestors.Cold pressed oils ,clarified butters,and medicated oils used in Ayurveda.These oils are not only taken internally ,but also used for massages.oiling of hair and all other parts of the body. When a person is adviced to do any form of “panchkarma” they have been adviced so ,because their bodies have become full of toxins.A very interesting comparson is that this body is now compared to a soiled piece of cloth.We cannot clean the cloth by rubbing and scrubbing ,due to the fear of it tearing.In the same way we cannot remove toxins directly from the body.Like we soak the cloth in water for some time , we soak the body in oil too.Oil is lovingly applied externally fulfilling both the purposes of “sneha”.It is also given for internal consumption in calculated amounts for a fixed period.Once the toxins have been loosened ,then they are removed by any method of panchkarma. Similarly when the mind gets toxified ,no harsh words can detoxify it.It needs to be flooded with “sneha”or loving behaviour for it to detoxify.Such a beautiful word and so gentle and potent.Not only do we use it in Panchkarma ,but daily use of “sneha”,to be taken internally,in a specified quantity and early in the morning has been advocated in certain cases where there is the need for it.Besides this regular massages or “abhyanga” using sesame oil or medicated oils,are immensely beneficial to health. So let’s all look at fats in a newer light.Lets include more of healthy fats in our diets.Our bodies need them for optimal functioning.Lets increase the “sneha” in our diets and our relationships and see what a wonderful effect it has on our lives.